In 2016, artificial intelligence and the digital content industry have become the hottest trend of venture capital investment in China. In the area of intelligence, the VC is currently prioritizing investments in deep learning, auto-driving, drones, home robots and core components, and medical robots. The UAV and robotics companies such as PowerVision have huge potential to grow due to the fact that intelligence represents the future of human life, which is one reason for PowerVision winning the “Leading Company 2016” award. And currently digital content is the “Eye of the Storm” of venture investments, with strong M&A in the industry in recent years. “IP as King” has become a very important rule and 2016 is expected to be the best year to found new start-ups in China. However, start-ups need to overcome the tough challenges after the buzz of launching and before the success comes and to identify the real consumer pain points. On 8th April during the “Discovering the Future” start-up summit, INNO angel funds organized a panel discussion titled “Wave of Intelligence”. Wally Zheng, founder & CEO of PowerVision participated together with Chen Kuan, founder of TwiThinks, Xu Junfeng, founder of Horizon-X, Liu Tong, founder of General Robot, Chen Yu, partner of Morningside Ventures and Li Wenbiao, General Manager and board member of Walden International. Drawing on his personal experience, Wally made this simple argument for start-ups: Reverse your thinking and don’t necessarily follow the so-called trend. 2016 is the best time to found new start-ups. 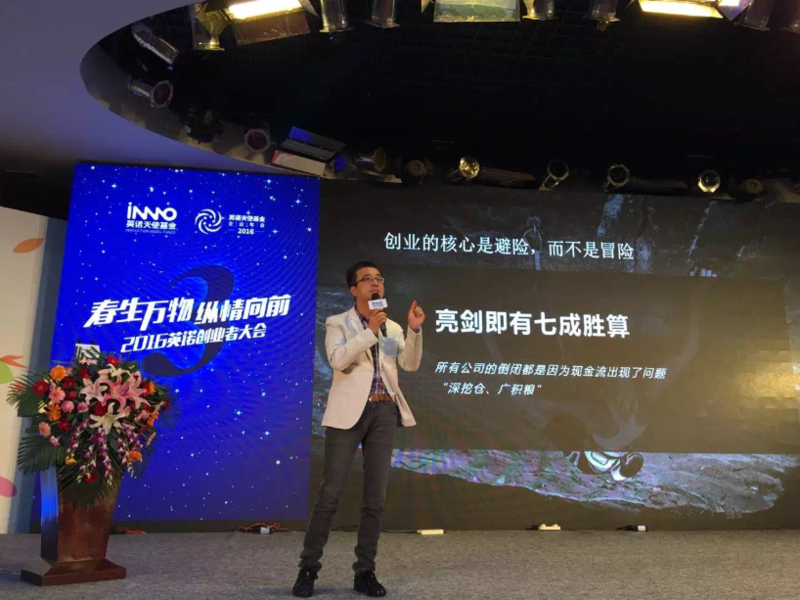 In the panel discussion, Wally commented: “To evaluate the robot and AI companies from an investor’s point of view, you need to check which user pain points the company aimed to solve and how much value can be generated by solving such problem. In addition, it is important to see how strategically the company plans to evaluate AI. From a company’s point of view the long term strategy is important, however the pre-condition is to find the real consumer pain point first and then study how to solve it. If the company is not aimed to solve the pain point, it might not be able to live long enough to implement long term strategy”. Mr Wally Zheng pointed out that PowerVision has been on a development path, gathering global R&D resources in 6 countries which research UAVs and robotics. In the meantime, PowerVision has announced its revolutionary consumer drone PowerEgg to shake up the crowded drone market which is currently lacks new innovation. The PowerEgg features a fully collapsible ID design, which provides extremely good portability. A new way to control the drone has significantly lowered the entry barrier to new consumers; an inexperienced user can learn to fly PowerEgg in just a few minutes. From industrial UAVs to consumer drones, PowerEgg has been continuously digging into the commercialization potential of robotic products. PowerVision has become a leading company in terms of R&D, manufacturing and offering commercial services. In future, PowerVision will continuously develop new products by deep insights in the users’ pain points and bring a better user experience to them.